7/2/14 STARS R US with Meria and Joseph Anthony, Astrologer. June was a killer, Mercury is finally direct;energy is shifting now;Mars in Libra- a sense of justice;Sun in Cancer is passion;Who felt it the worse in June? strange financial month for Taurus;July should be a much happier month;control systems must go;distortions of reality;the true ticket is a spiritual one, what can you do to change mass consciousness? Mid July things start really improving;Jupiter in Leo will last a year; expect movement after the 16th;Mercury in Cancer the 12th-what to expect;major transformative energy in the air; 22nd Sun enters Leo; 12th Full Moon in Capricorn; the darkness is desperate to keep control; from the 16th thru the 31st stay in higher alignment, work your spiritual program; from now thru next Msarch a shift in consciousness is happening. Personal horoscopes for each sign included. Link to film on Geo-engineering referred to on todays show. Imagine a show with no commercials no govt/corporate funding, just YOUR subscription which gives you access to entire site 24/7. Here it is! 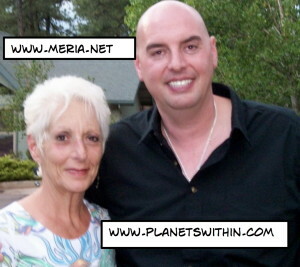 One Response to "Stars R Us with Meria and Joseph Anthony, Astrologer"
Yay! !! Stars R Us!!! I look forward to it every month.